Almost 10 low-cost airlines collapsed in 2018. REYKJAVIK: Iceland’s troubled budget carrier WOW Air said it had ceased operations and cancelled all flights on Thursday, stranding thousands of passengers in the low-cost airline industry's latest collapse. 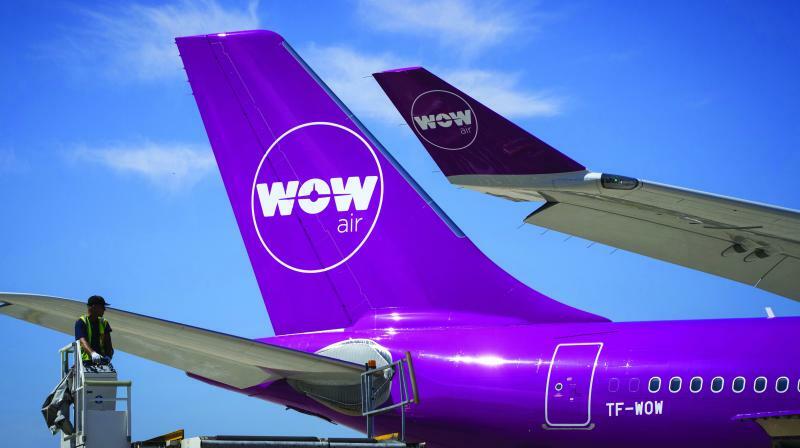 The closure of WOW Air, which transports more than a third of those travelling to Iceland, comes after buyout talks with rival Iceland air collapsed earlier this week. At Reykjavik airport, hundreds of passengers were left without planes to board as 30 WOW Air flights to Paris, New York and Montreal were cancelled. A 28-year-old Canadian university exchange student in Belgium, Charles Ouellet, was due to fly home to Montreal on a WOW flight via Reykjavik on April 3. "I'm going to see if I can get refunded," he told AFP. Almost 10 low-cost airlines collapsed in 2018, including Belgium's VLM Airlines, Denmark's Primera Air and Cyprus' Cobalt Air. In February, Berlin-based airline Germania cancelled its own flights and filed for bankruptcy, and other budget airlines such as British Flybe have narrowly escaped folding this year. A report by a governmental work group has warned that a WOW Air bankruptcy would lead to a three percent drop in Iceland's gross domestic product, a fall in the value of the krona and rising inflation. Fierce competition in Europe has led airlines to slash prices, pushing their profit margins lower. Companies have also faced stiff competition from low-cost subsidiaries set up by big operators such as British Airways parent IAG.